Michelle Simmons obtained a double degree in physics and chemistry and was awarded a PhD in Physics from Durham University, UK in 1992. Her Postdoctoral position was as a Research Fellow in quantum electronics at the Cavendish Laboratory in Cambridge, UK where she gained an international reputation for her work in the discovery of the ‘0.7 feature’ and metallic behaviour in 2D Gas hole systems. In 1999, she was awarded a QEII Fellowship and came to Australia where she was a founding member of the Centre of Excellence for Quantum Computer Technology. Since then she has established a large research group dedicated to the fabrication of atomic-scale devices in silicon and germanium using the atomic precision of a scanning tunneling microscope. Her group is the only group world-wide that can make atomically precise devices in silicon: they have developed the world’s thinnest conducting doped wires in silicon, and the ability to manipulate and electronically measure devices with atomically precise dopant placement. She has published more than 330 papers in refereed journals with an h-index of 37 including 26 Physical Review Letters and papers in Nature, Science, Nature Physics and Nature Nanotechnology. In 2005 she was awarded the Pawsey Medal by the Australian Academy of Science and in 2006 became one of the youngest elected Fellows of this Academy. Michelle has been the Chair of the National Committee for Physics, who released the 2012 decadal plan for physics in Australia. She serves on numerous Advisory Boards including the Advisory Board of American Chemical Society Nano Letters and Nanotechnology; Expert Advisory Board Sandia National Laboratories; Review Board, Canadian Institute for Advanced Research and was recently appointed to the Expert Advisory Panel for the MacDiarmid Institute for Advanced Materials and Nanotechnology in New Zealand. 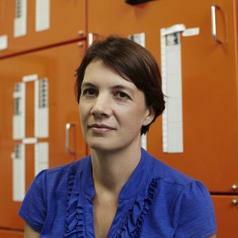 In 2008 she was awarded a second Federation Fellowship and in 2012 was the NSW Scientist of the Year.